Transport Secretary Patrick McLoughlin made the announcement yesterday (9 March) as part of the government’s response to the damage done during one of the worst winters on record. 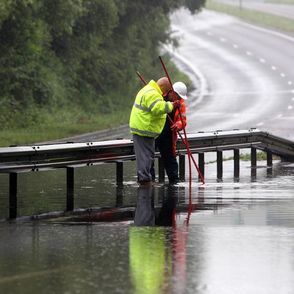 Support for councils to fix the roads most damaged by severe weather will be increased by £36.5m, to £80million. On top of this, following the exceptionally severe weather of recent months, an extra £103.5million is also being made available to all councils across England. Councils have a responsibility to maintain local roads, but the exceptional weather has caused significant additional damage, increasing the amount of damage to the local road network. As the flood waters have receded and councils have been able to assess the impact, it is clear that the damage done has been particularly severe in certain areas. In order to qualify for this extra funding, local authorities will be required to publish information on their websites by the end of August 2014 showing where this money has been spent.